Tupelo honey is light golden in color with an exquisite fruity flavor. 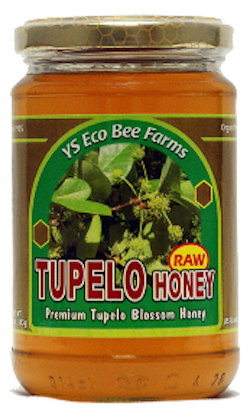 Tupelo nectar has a very unique valuable nutritional composition different from other honeys. This premium, top quality raw Tupelo honey is unpasteurized and not force filtered, providing the highest possible levels of enzymes, vitamins, minerals, antioxidants and beneficial agents as a functional whole food. Enjoy the wellness benefits of premium Tupelo honey!